Meals out without kids are rare. We go through spurts with them. For a while, they’re great in restaurants. Then we’ll hit a rough patch and we vow never to eat out again. J and I got a rare opportunity earlier this week for lunch. I have some vacation days to burn through so I took them around my birthday. On Tuesday, B goes to full day preschool so both kids are gone from 8:30-4:00….We took advantage of that did a birthday lunch at a place we’ve been hesitant to take the kids to. 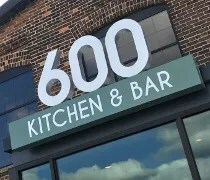 600 Kitchen & Bar is Millennium Restaurant Group’s newest venture. The restaurant is located at the corner of Michigan and Harrison just to the east of downtown. 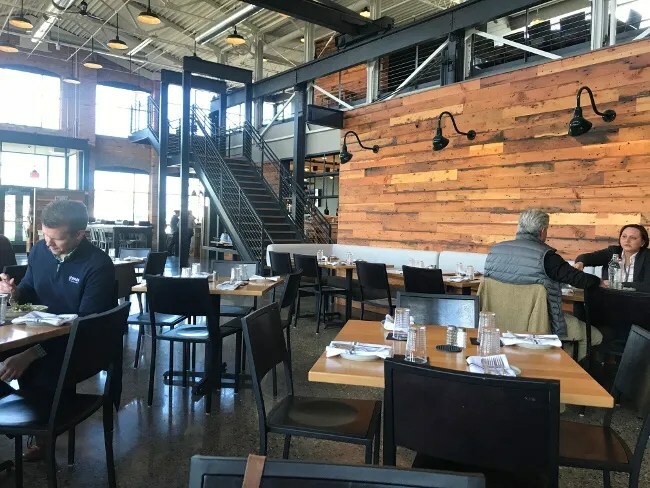 It’s part of The Foundry redevelopment in the city’s Rivers Edge district. 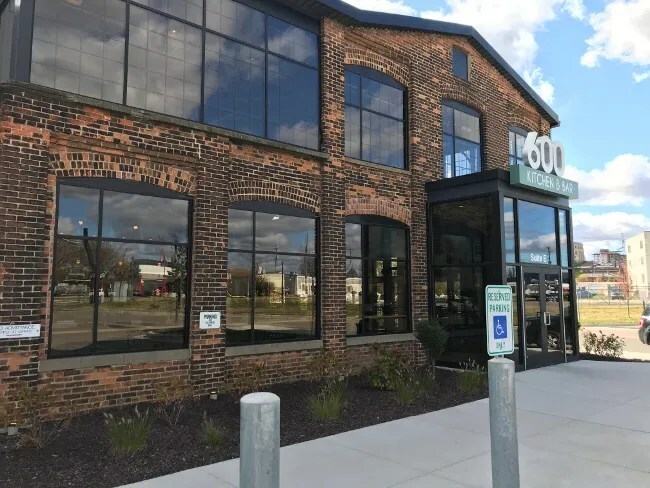 The 110 year old building that was once Kalamazoo Foundry and Machine Co. was mostly gutted inside. They left the bones of the building which make for a really cool look. We got to the restaurant late in the lunch hour. There were a few tables of obvious business lunches but most people were already back to work by this hour. There is a host stand right inside the door. A waitress saw us walk in and showed us to a table near the back of the large dining room. The space is gorgeous. The outside walls are the original brick with large windows looking out to a small patio along the side of the building. The floor is decorative concrete and the high ceilings are left open exposing new steal beams that now support the building. Interior walls are built with distressed wood and a black steel staircase leads to a private downing area on a balcony that overlooks the main dining room. The “bar” part of 600 Kitchen & Bar is right inside the door. It’s it’s own little space with a few pub tables along the outer wall. 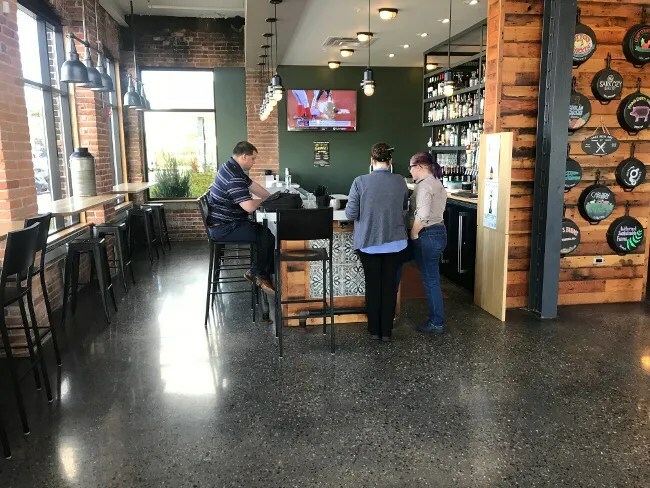 It’s a great place to sit and enjoy a drink but it’s not the dominating feature in the dining room. We obviously had to start this kid free meal with drinks. 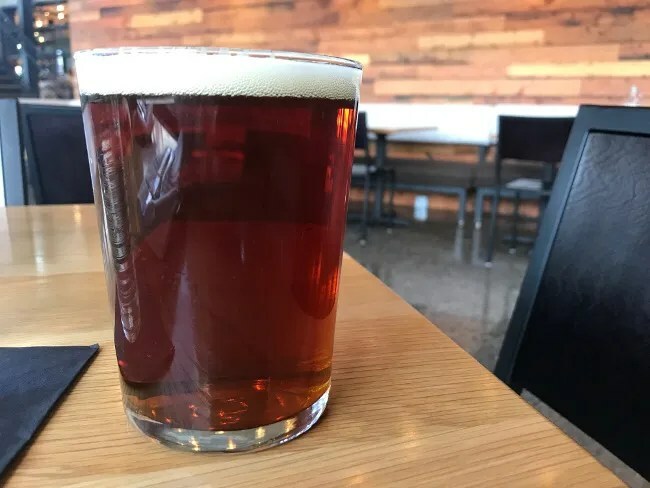 I picked the Oktoberfest from Wolverine Brewing Company. I don’t know why really. It just sounded good and I haven’t had much in the way of fall beers yet so this sounded really good. J did something a little surprising, she ordered the Autumn Old Fashioned. She really likes the Old Fashioned from Green Door Distilling but I’ve never seen her order one someplace else. 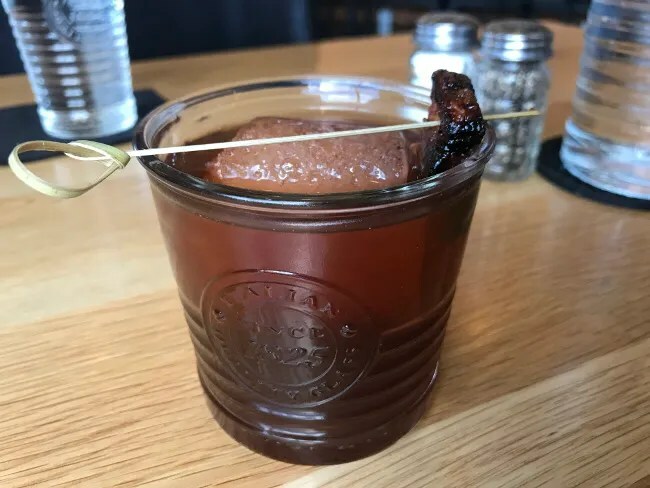 This one is Bulleit Rye Whiskey with House Made maple bitters, Mux Alpina Black Walnut Liqueur, orange swab, and candied bacon. It was really tasty. I mean..really, really tasty. I like whiskey so it’s not surprising I would like it but J really liked it as well. We’re pretty late getting to 600 Kitchen & Bar mostly because they don’t do lunch service on Saturday. We’re not dinner people…especially with the kids. J and I prefer sandwiches of steak and seafood so the lunch menu has always looked better to us. I picked the Burger. It’s a 7 oz. Carlson Farms Angus beef patty on a toasted brioche bun. The burger comes with lettuce, tomato, and onion. Cheese can be added for an extra buck. I picked cheddar. 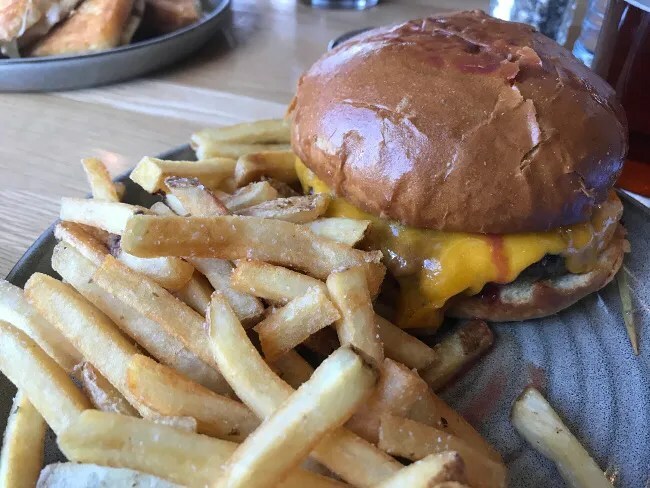 The burger has a delicious pink center and a charred outside. I’ve bought beef from Carlson Farms many times myself and it’s always delicious. The sandwich came with fries which are simple skin-on fries lightly salted. J ordered the Grilled Cheese. 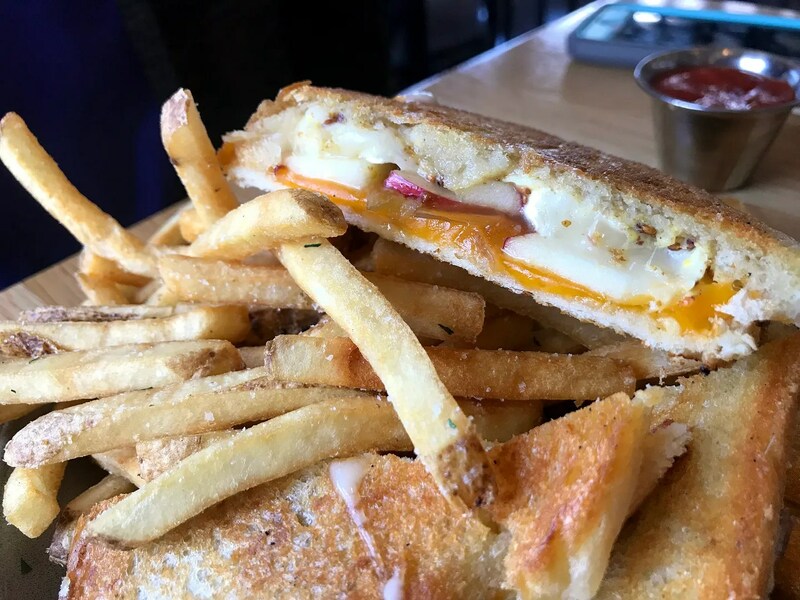 This is not a typical grilled cheese sandwich. It’s made with sourdough bread, brie, Hook’s Cheddar, honey mustard, apple, and a leak jam. J loved this sandwich. There were actually four triangles instead of the usual two and a large pile of fries on her plate. The apple gave this sandwich a little bit of a crunch alongside the saltiness of the Hook’s cheddar. This is definitely one of those sandwiches that you come back for time and time again. In a surprising move, J asked for a dessert menu when the waitress came back. We had the time to sit and enjoy…and it was my birthday, so why not. We picked the Korean Chili Chocolate Tart to share. The plate is drizzled with caramel sauce. A graham cracker tart shell sits in the middle. 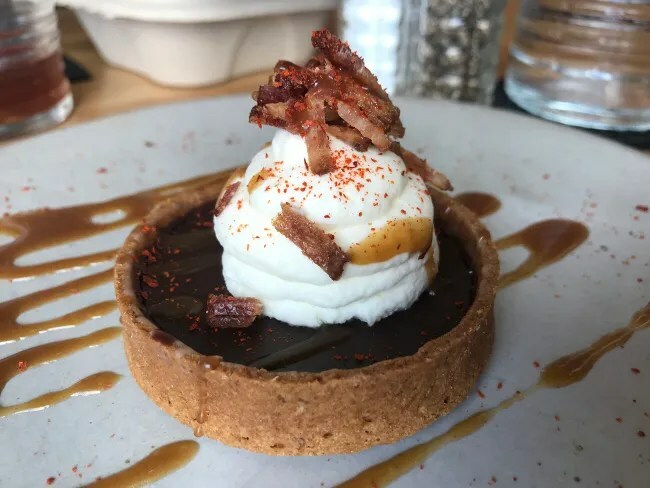 It’s filled with chocolate that’s topped with whipped cream, bacon, and Korean chili and a salted caramel sauce. It. Was. So. Good. That’s about all I can about this. So good. Our bill for lunch was a little over $50. That’s about what we usually spend when there’s four of us, but we went a little crazy on drinks and dessert. It was worth it. It’s really no surprise 600 Kitchen & Bar is as good as it is. We have never had a bad experience at a Millennium Restaurant. 600 Kitchen & Bar fits right in with their portfolio. 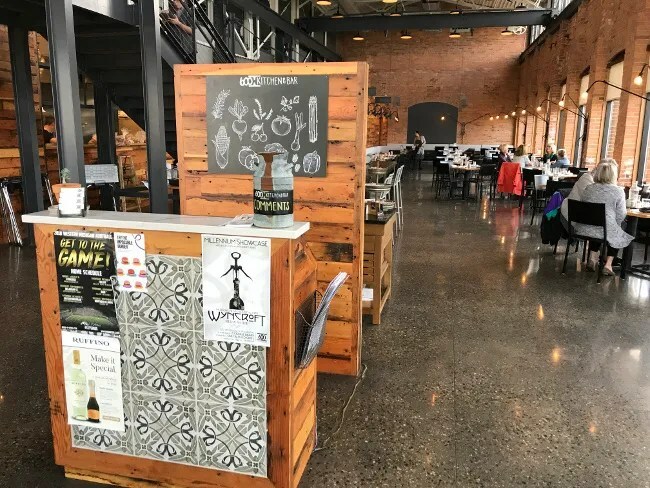 They have delicious, locally sourced food in a great 100 year old building. Exactly what we expected from this group.